In this Whiteboard Animation I present the History of Animation, The Big Companies and their development of animation. 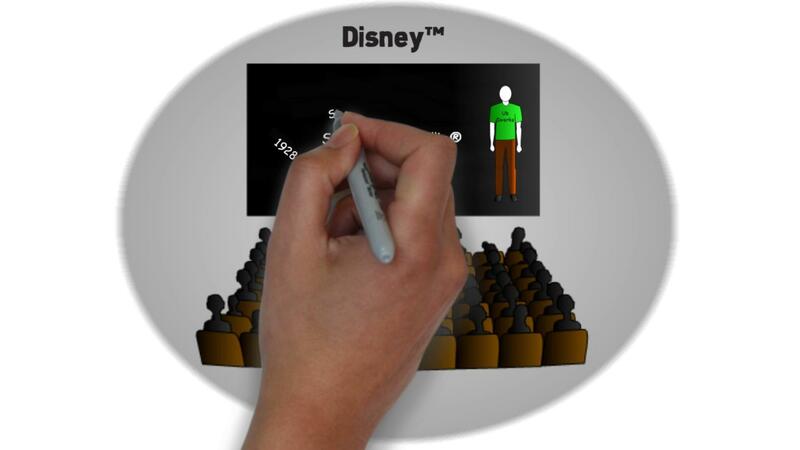 The well-known companies mentioned are Disney™, Fleischer Studios™, MGM™ and Warner Bros™. Some of the ‘Golden Oldies’ of animation that I discuss are: Ub Iwerks, Grim Natwick, Ken Harris, Art Babbitt and Richard Williams. A lot of the material I got from Richard Williams book: The Animator’s Survival Kit. Due to copyright issues I have made no copy of the different companies artwork all trademarks we acknowledge to be relative trademarks of their respective owners. Due to this reason I’m restricted graphically and needing to reduce everything to text and simple block images.